It reads simple, "Preserving the arts has been the focus of Dr. Yang's work throughout the past 40 years." This mission statement appears on the front page of the YMAA Retreat Center. But the journey hasn't been all that easy. With a great hope and well planning, the YMAA Retreat Center embarked on the ambitious ten-year training program in 2007 to fulfill Dr. Yang Jwing-Ming's dream to ensure the authentic lineage of traditional Chinese arts will continue for generations. In 2011, I wrote an article about the Center and its ambitious program. A few months ago, I received an open letter from Dr. Yang that announced the closure of the center in 2019 due to financial difficulty. My heart sank, but I was not surprised. After all, in a time and age when everything moves at Nanoseconds, 10 years seems almost like an eternity. It certainly seems like a tall order or unthinkable idea to ask anyone aged 17-30 to give up the lifestyle they are used to and to go to the mountain to study Chinese arts with Dr. Yang in person, especially considering that this is the prime time when many individuals attempt to get a college education, move up in their career, make money, and/or start a family. 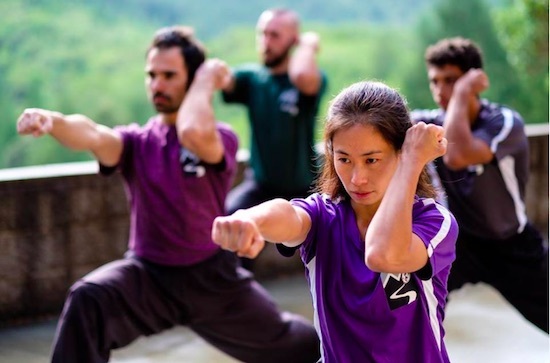 In addition to study Chinese Martial Arts, Qigong, Tai Chi (Taiji), students also need to learn English, Chinese language, history, nature, horseback riding, archery, cooking, finance, teaching, video/photo production, business planning, and management. In other words, the program will develop a modern Martial Art's master with business acumen. The lessons are free and so are the rooms, but students need to pay for food and other expenses. The bulk of the center's annual budget is for utilities, facilities maintenance fees, taxes, and insurance. The majority of the cost has been funded by Dr. Yang's life savings and seminar income, followed by tuition from students, and donations from outside sponsors. It is quite remarkable that the Center has lasted this long. In general, how do you define success? Dr. Yang: When you set up a goal and you have achieved it at least 60%. How do you define the success of the training programs at the retreat center? Dr. Yang: Though I have only one out of five originals for ten-years program, two out of five originals for nine-years program, and four out of six originals for five-years program, from the time they have spent and accomplished, it is considered successful. I wish I were able to keep more students, unfortunately, I can keep only 43% of the students from beginning. Do you consider the training center has been a success? If yes, how do you measure it? If not, why? Dr. Yang: If choosing location, it is a good one. We are nearly remote but not completely. If there is any emergency, we are able to take the person to town it is only 20 minutes away. Furthermore, it is one of the best places with good Fengshui I have seen. The quality of water (from well and spring) and air are great. We have our organic garden and chicken coop to supply us plenty of healthy vegetable and eggs. This center is not only training selected students but also offer to outside visitors. We have so many visitors each year and they are nearly 100% happy of what they have learned and experienced here. Two of the most important training contents are preserving traditional martial arts and producing good quality videos. From nearly 10 years' experience, preserving part is most satisfied and video production, due to time limitation, only a few students have reached to a professional level. Again due to time limitation, archery, horseback riding, article writing, and Chinese learning are not as satisfactory as original planned. However, the center has provided students a good experience in these fields. After nearly 10 years, we realized how difficult to recruit committed students. We have kept only 43% of original selected students. Hope we can do better in next recruitment. If we can go back in time, would you do it again? If so, would you do it differently? Dr. Yang: Actually, with Ku Foundation as a new co-organizer, we have decided to extend another five years. The new recruiting schedule and application have already been announced. We are recruiting two groups now, one for 5 years and the other for 3 years. These two groups will begin their training on September 1st of 2018. We will also recruit another 3-years program group in 2020. So far, the new plan is to keep center opened till 2023. From past experience, we will not recruit any more of 10-years program. It is a too long-term commitment to today's young generations. It is more feasible just for 5 years and 3 years. 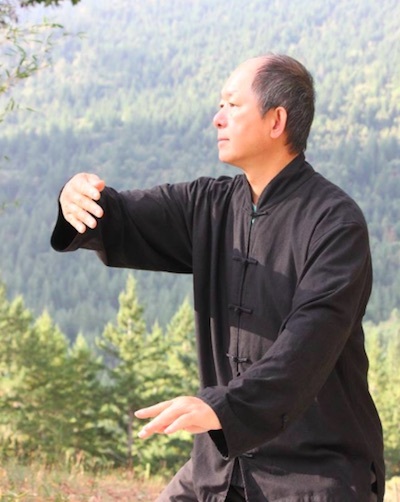 We will also focus in preserving the quality of traditional martial and Qigong arts. Other programs such as horseback riding, artery, writing articles, and Chinese will not be focused. What is the most difficult thing in carrying out the training programs? 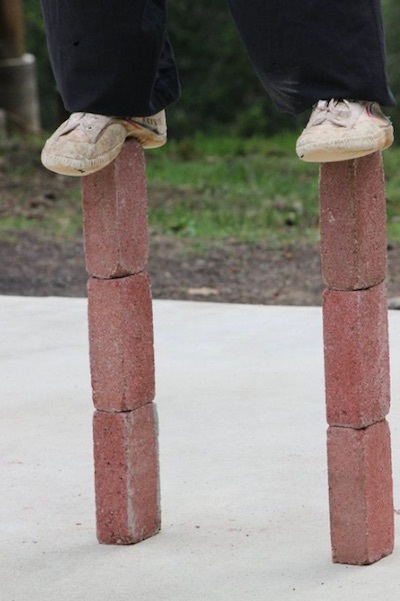 People? Money? Timing? Dr. Yang: Finding committed long-term students is the most difficult. Naturally, lack of fund was also another problem. With limited outside support, I have to put almost all my saving to maintain the program. Now we are fortunate to have Ku Foundation to co-organize another 5 years and 3-years programs. This has significantly reduced financial burden of the center. From our success in current 5 years and 3-years program groups, we are confident that we will have a new success for the extended programs. What is the future of Chinese martial arts? How likely will they be passed down for generations to come? Or do you think that they can be evolved or transformed to be even better? Dr. Yang: When robot technologies take over most of the work in next 20 years, people will have more time for their life instead of just working most of the time. People will be able to spend more time in enjoyment, sports, and arts. I believe all traditional arts such as classic music, traditional martial arts, sports, and painting will become more popular again as before 19th century. It is the future trend that those professions related to human feeling and healthy that cannot be replaced by robots will continue to grow and evolved. The purpose of marital arts training will be very different from ancient when life and death was so important in battlefield. In the future, martial arts will be more for self-disciple, health, spirit, alertness, and awareness development. It is through these self-challenges that we are able to understand the meaning of life. Enjoy this short video about the YMAA California Retreat Center Training. Violet Li, an award-winning journalist on the martial arts with a global readership via www.VioletLiTaiChi.com and Chinese Wushu. Violet Li is also a 12th Generation Chen Tai Chi Inheritor. She can be reached at Violet.Li@tadi.com.